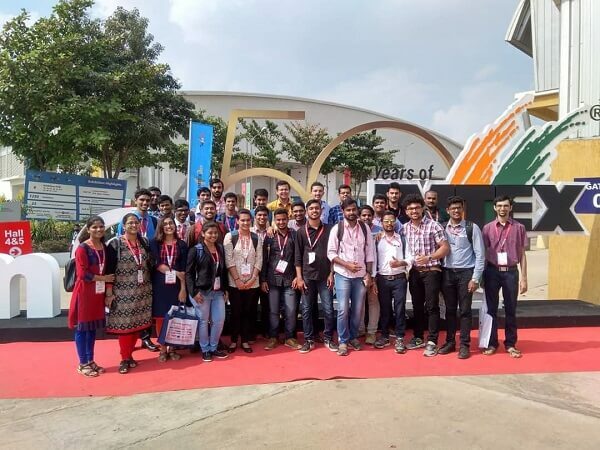 The two day 12th edition of “JAGRUTHI-IMTMA youth programme” witnessed the participation of students from renowned engineering colleges across India. The initiative is an attempt to create awareness about the latest developments in the manufacturing industry. This program was held during IMTEX(latest technology in tools exhibition) with the help of UDDAAN members. Under this the engineering students, who were nominated by the colleges, visited the exhibition. The objective of this program is to familiarize the students with machine tool industry and technological developments in the industry. Sri Sai Ram Engineering College, IIT(Madras), Vel Tech University, Amritha School of Engineering, Bapuji institute of Engineering & Technology, Bharathi Vidyapeeth’s college of Engineering, DY Patil School of Engineering Academy, GS Moze College of Engineering, K.L.E Technological University, KIT’S College of Engineering , KLS Gogte Institute of Technology, Singhad Technical Education Society’s Sou.Venutai Chavan Polytechnic, Vishwakarma Institute of Information Technology and Tatyasaheb Kore Institute of Engineering and Technology. Only three colleges from Tamil Nadu were invited to participate in the exhibition and the Sairam Institutions’ management congratulate Mr. M.Praveen Kumar and Mr. A.Gokula Krishna (right side corner in the image) of third year Mechanical Engineering Department for participating in the exhibition.